“Though it is not perfect, it is fair,” was the opinion handed down from the Third Circuit Court of Appeals in April 2016, when the appellate court ruled in favor of the Settlement designated to compensate retired NFLers for brain injury. The Settlement had been approved by Judge Anita B. Brody in the Eastern District of Pennsylvania almost a year earlier in 2015. While a group of players appealed the Third Circuit’s decision to the Supreme Court, in December 2016 the High Court declined to hear the case, finalizing the Settlement with player registrations beginning in January 2017 and claims submissions in March of that year. A year and a half into implementation the Settlement has been plagued with problems and controversies, not the least of which are low dementia claim approvals, and NFL allegations of widespread fraud for which it seeks a special investigator. Attorneys for the players dispute the pervasive fraud alleged by the NFL, a problem largely of their own making, but these are not the only areas where controversy exists. 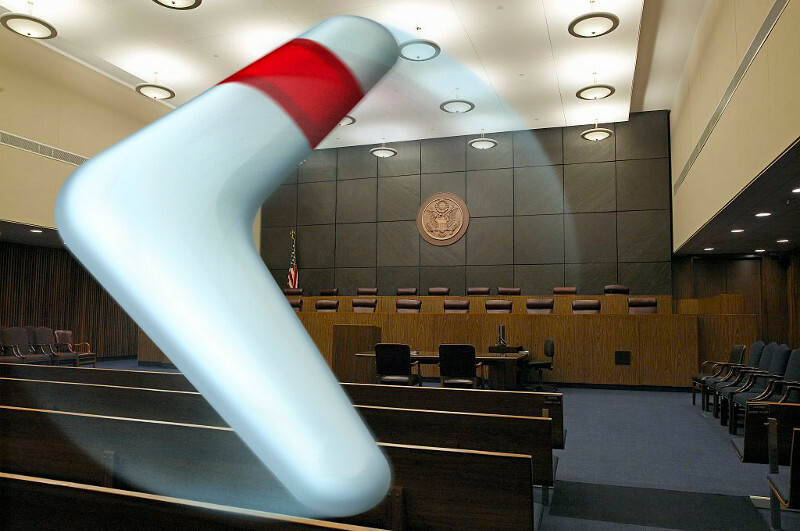 Like a boomerang, two of these controversies have made their way back to the Third Circuit, where appeals will be heard on Judge Brody’s rulings regarding attorney fees and prohibition of claims assignments to third party lenders. Attorney Fees will be addressed in this article, saving the settlement funding issues for a future installment. Attorney Lance Lubel, representing a group of players identified as Alexander Objectors has led the charge in the fee arena. A Motion for Reconsideration filed on May 2 outlines the issues in play. In a Memorandum of Law Mr. Lubel writes, “It is both premature and fiscally unwise to consider a bonus to Class Counsel in year one of a 65-year Settlement. It is premature because there is an insufficient track record for this Settlement Agreement to be declared a complete victory for Class Members.” He points out that exhausting the fee fund agreed to by the NFL leaves no funds for future implementation of the settlement for the next 64 years. 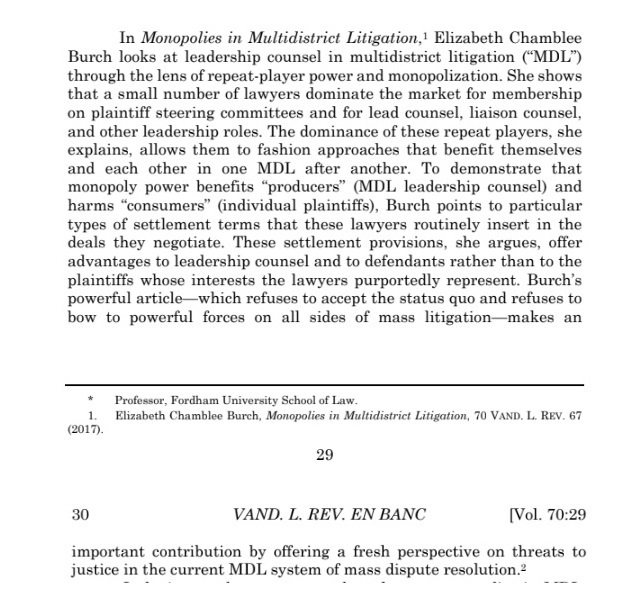 While Lubel states that it is proper to compensate Class Counsel “for reasonable efforts to date,” he also points out that the court-appointed expert, Harvard law professor William Rubenstein, also felt that future implementation should be carved out of the NFL agreed-to common benefit and Class Members should not be required to finance this from their awards. A hearing was scheduled on May 15 to address attorney fee allocations, but when Mr. Lubel began to address the Court, stating that awards for Levels 1.5 and 2.0 dementia claims as well as those for Alzheimer’s were well below first year projections and noted the “disharmony” this has created, Judge Brody interrupted, asking what that had to do with common benefit fees. Lubel attempted to demonstrate that because of the claims issues the value to the class upon which the common benefit fees were based had been diminished but seemed to have little luck with his arguments. In rebuttal, Chris Seeger referred to Lubel as “a doozy,” implying that he was unable to read clear information from a claims report. In doing so, Seeger stressed the dollar value of approved (not paid) claims, the majority of which were ALS and Death with CTE awards which did in fact exceed the entire 65-year projection for the program, while evading the elephant in the room of dementia awards or lack thereof. Despite objections from Lubel and numerous other attorneys who were present at the hearing, on May 24, Judge Brody issued an Explanation and Order allocating the attorney fees that she had previously agreed to disburse. Fortunately, Lubel anticipated this response and had, preemptively appealed the orders that had previously been pointed to in his Motion for Reconsideration to the Third Circuit. On May 25, he filed a motion to stay enforcement of the order pending appeal. In an accompanying memorandum of law, he outlined the necessity of a stay of proceedings and the compliance of the request with Federal Rules of Civil Procedure. 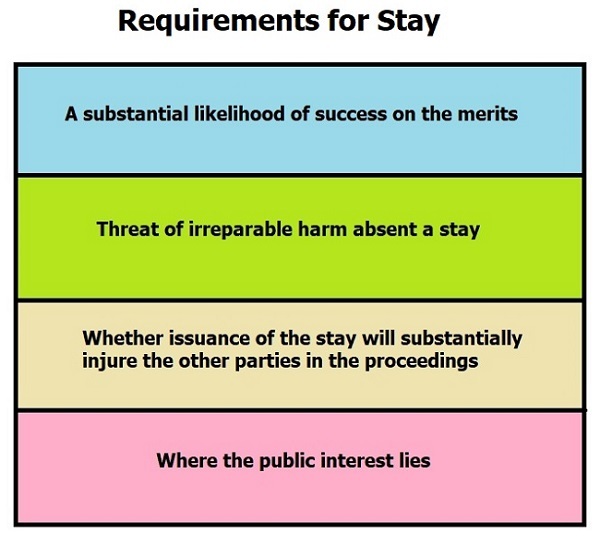 In consideration of a stay (or delay) of proceedings the court will typically weigh the following factors, with irreparable harm often given the strongest weight. Compromising Class Member’ access to independent representation via an effective and presumptive 17% private fee cap. Factors “3” and “4” also indicate irreparable harm to the Class. 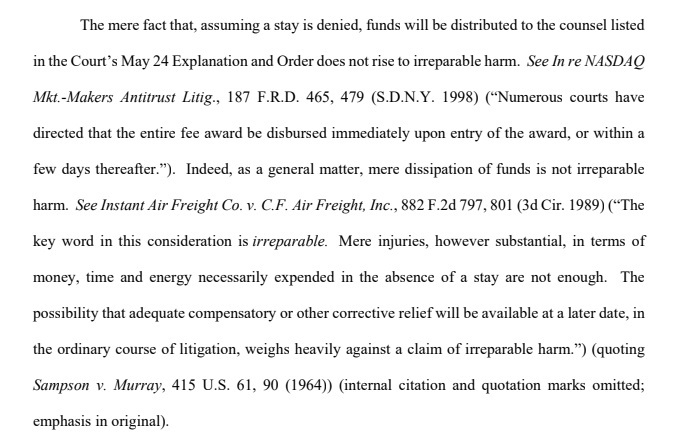 Lubel states that the Class Attorneys will not be harmed by a stay since the compensation will remain in escrow until the matter is decided and reminds the Court they were not promised compensation at any particular time through the settlement, therefore law firms could not have relied on payment at this juncture. It would seem that if Class Members are to subsidize additional compensation for Mr. Seeger, they should at least have access to his time sheets indicating how this time was used rather than trusting an in camera or private court review that produced no disclosures. In dispute of the irreparable harm argument Seeger states that the fund has not been depleted (approximately $22 million remaining) and that Judge Brody has not yet made a final ruling as to the 5% hold back. While this is true, he fails to add that as of September 2017 over $5 million of the reserve has been earmarked for an implementation lodestar along with nearly a half million in expenses. If the implementation cost of the second nine months of implementation resembles the first nine months, then already over $10 million of the $22 million has been committed, with the reserve approximated to last another 18-20 months. This analysis points to a strong probability that the 5% holdbacks would at that time become permanent, and even if by chance, implementation costs decrease, and it is decided that a lower holdback or none at all would be required, how many of the players who have already had the fee deducted (especially those with ALS) would still be alive to be reimbursed? I disagree. Class Members by nature of their illnesses may not live long enough to recoup the 5% should the court rule against it years later. Future claimants will be harmed irreparably if they fail, because the court has made it unprofitable, to find competent counsel to represent them in the difficult claims process by capping contingency fees at a de facto 17%, and should their claims be denied, but approved at a later submission at a more advanced age, the structure of diminishing awards with advancing age will permanently depreciate their recoveries. 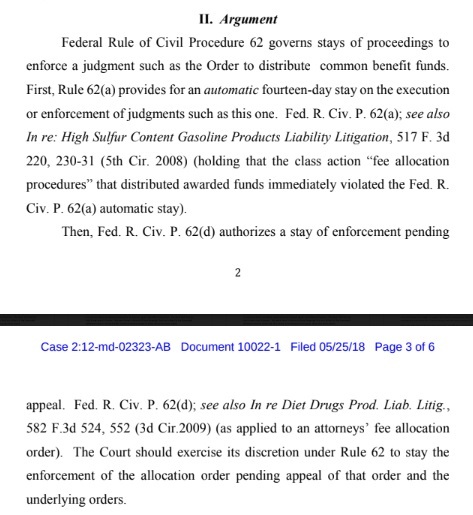 Seeger notes that all counsel scheduled to receive common benefit compensation are ordered to return the funds should Judge Brody’s ruling be reversed on appeal, but this is no guarantee that the funds will actually be returned. During the time it takes for an appeal to play out, the funds will most likely have been used to pay off debt incurred during the course of defending both the settlement and individual clients, including medical bills incurred for denied claims, or possibly invested in developing new lawsuits. Conversely the only “harm” Seeger alleges on behalf of the attorneys receiving common benefit is that they will have to “wait many more months” for their fees. Thus far, at least one attorney designated for payment, Craig Mitnick, has also appealed fee distributions, so this would indicate that he also disagrees with Mr. Seeger’s assessment. Seeger’s public interest argument contains nothing substantial to support his contention. As a representative member of the public, I think I can safely state that the public does have an interest in fair and transparent proceedings. As more citizens will find themselves injured from bad pharmaceuticals or medical devices, or through corporate environmental damage than will ever find themselves at the top of corporate food chains profiting from such ventures, it is in the interest of the public that injured plaintiffs are not compromised by repeat-player plaintiffs attorneys who, realizing the profitability of MDL and class action settlements, often prioritize their own fees ahead of the plaintiffs they were appointed to represent. UGA Law Professor Elizabeth Chamblee Burch addresses these issues and potentials for abuse in a brilliant and thought provoking paper entitled “Monopolies in Multidistrict Litigation.” While Professor Burch looks specifically at non-class certified MDL’s, Fordham Law Professor Howard Erichson demonstrates that the problems pervade class action settlements as well, writing in a separate paper about “red-flags” in this type of litigation. It is strongly in the public interest to see these abuses curtailed. Furthermore, much of the public realizes that most former NFL players have not been treated kindly by the league in their retirement. Many observers have a very keen interest in seeing the men who built the game of professional football compensated for their brain injuries without obstruction and red-tape on the part of the NFL or their own appointed Counsel. Until the settlement has proved its value to them – especially those suffering from dementia, the public will continue to view the Settlement as a flawed agreement and process, degrading confidence in the justice system. Chris Seeger and to a degree, Judge Brody have denigrated Lance Lubel for filing what are claimed to be frivolous and meritless motions, but my view of his work is quite opposite. His motions and interventions have placed a flashlight on questionable practices in the Settlement and have provided a public view to a segment of litigation that is often shielded from public scrutiny. The ball is now in the Court of the Third Circuit. UPDATE June 11, 2018, 1:45 PM: Embed of Motion for Emergency Stay filed with the Third Circuit on June 6.